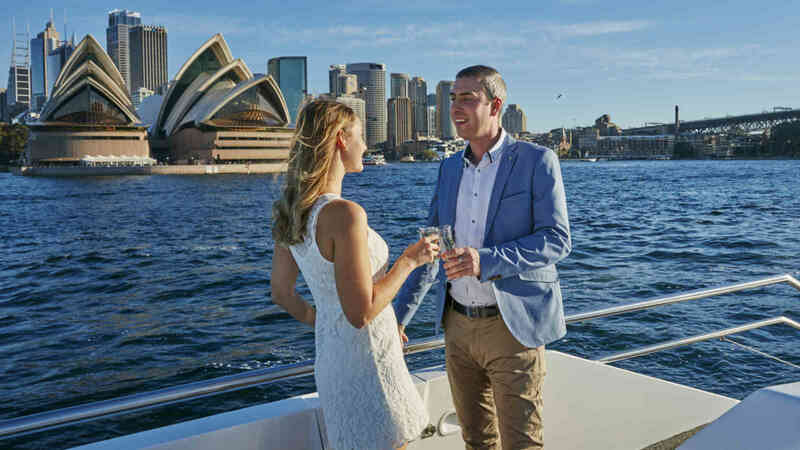 AUSPRO delivers an extraordinary level of luxury and sophistication. 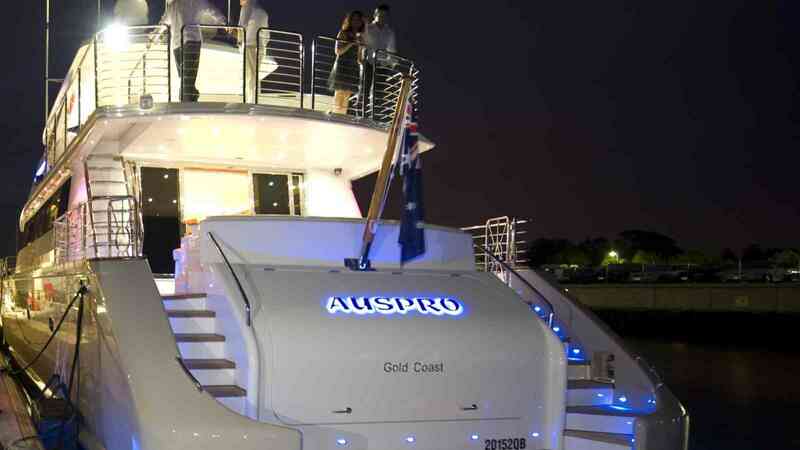 With a stunning Italian inspired interior and expansive entertainment areas above and below deck, AUSPRO is ideal for high end corporate entertaining, five-star private functions, intimate weddings or celebrations and extravagant overnight getaways. Built by leading Italian superyacht manufacturing company Azimut, AUSPRO is a 30-metre motor yacht fitted with a Seakeeper Gyro Stabiliser for super smooth harbour sailing with a range capable of offering extended overnight trips. 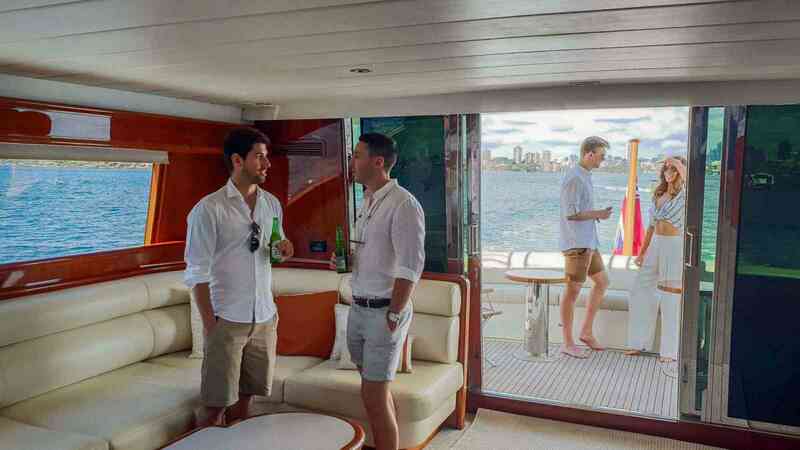 The lavish superyacht can accommodate 40 guests for VIP functions or 8 guests overnight in two Staterooms and two Guest rooms.